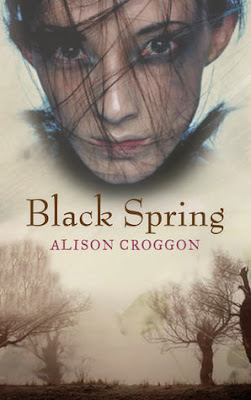 Alison Croggon is an author whose books I must own right after release, even though that usually means expensive shipping from Australia. But it's always worth it. 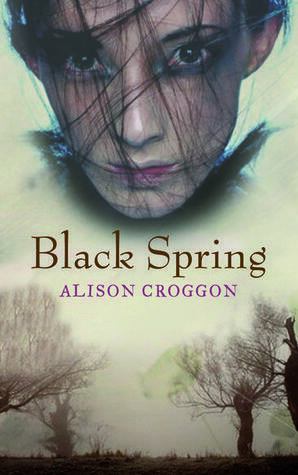 I fondly remember the day I discovered Alison Croggon's first fantasy novel The Naming in the young adult section at McNally Robinson's Saskatoon store, one day in May or June 2005. I will always remember reading it while listening to the Within Temptation album Mother Earth. Strange how those associations stick with you. If you have a chance to read the Books of Pellinor (The Naming/The Gift, The Riddle, The Crow, and The Singing) and you are a high fantasy fan, do it! They're wonderful and work in some ways as a feminist, post-colonial corrective to Tolkien. So, when Croggon posted on her blog a few years back that her next novel was a gothic fantasy take on Wuthering Heights, I was sold. Wuthering Heights is, quite possibly, my favourite novel of all time and I figured that if anyone could do it justice, Alison Croggon could, especially since she, like Emily Bronte, is both a poet and novelist. However, because this book has a complex relationship with Bronte's, it's a bit difficult for me to write about - because I love the source text so much, because I also have literary critical opinions about the novel and how its works, and because Croggon's take probably fits into the Neo-Victorian genre (think A.S. Byatt's Possession), a genre which often creates complex intertextual links with Victorian novels and which I have researched and written on in the past year. That said, there are two important things you can take away from this review. 1) This is a fantastic book. 2) In my opinion, it is also a respectful, critical, fascinating reworking of Wuthering Heights. If you like Bronte's novel, I suspect you will enjoy Croggon's too. 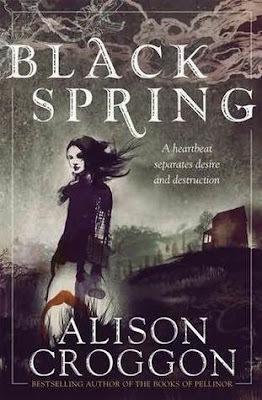 Alison Croggon’s Black Spring follows the layered narrative structure and overall plot of the original novel very closely, so that any deviation is significant. The novel begins with an urbane, self-absorbed Lockwood figure readying to leave the city for a spell in the wild, brutal plain society to the north. There, he stays over in the house of his landlord, Damek (Heathcliff) and sees a vision of a beautiful, desperate woman in a mirror (Cathy Earnshaw). From Anna (Nelly), he learns the mysterious history of Lina, born a witch in a society where women cannot practice magic, her foster brother Damek and their love, and the unforgiving laws of vendetta that structure their world. I could go on and on about the really interesting changes and tweaks Croggon makes to Bronte's novel, the ways in which vendetta externalises the very personal revenge carried out by Bronte's Heathcliff, how making Lina a witch allows her very real power in a patriarchal society and allows her agency Cathy cannot have, the way Anna and Lina's relationship as women and "milk sisters" shifts the core of the story away from Heathcliff/Damek or the "romance" that readers sometimes mistakenly see as central to Wuthering Heights. Also, because I knew the plot of Wuthering Heights, I was expecting certain events going in (especially a particular death) and was pleasantly surprised when they did not occur. Neo-Victorian novels sometimes play on this familiarity with the source text and defamiliarize the story by twisting the "knowledgeable" reader's expectations, thus making the narrative new. Croggon's novel does just that. But I'll leave it there. The book is a brilliant gothic fantasy all on its own but it gains in complexity and depth through its relationship to its source text. I eagerly await Croggon's next novel, a prequel to the Pellinor series about Cadvan's earlier life. I think I need to reread the series again soon too! Such wonderful books. I hope you enjoy Black Spring - I'd love to know what you think of it. I find it so interesting that Wuthering Heights is such a polarizing novel. My mom, for instance, is also not a fan and much prefers Jane Eyre, as Bronte novels go.